This Issue: Marx' Korean War Battleground! For kids of the Korean War era, there were almost no toys that openly commemorated their heroic father's mission. Except Louis Marx, who unleashed the No. 3745 with a heavy population of fighter jets and vehicle groups, the subject of this issue. Thanks to Rick Eber we can also cross-reference the great Battleground Convoy set. 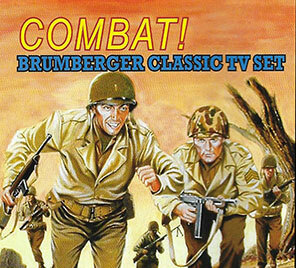 Not only that, we also ofer Brumberger's entry into the world of playsets and TV collectibles, the Comba! playset, plus David Schafer's awesome 60mm Korean War troops. 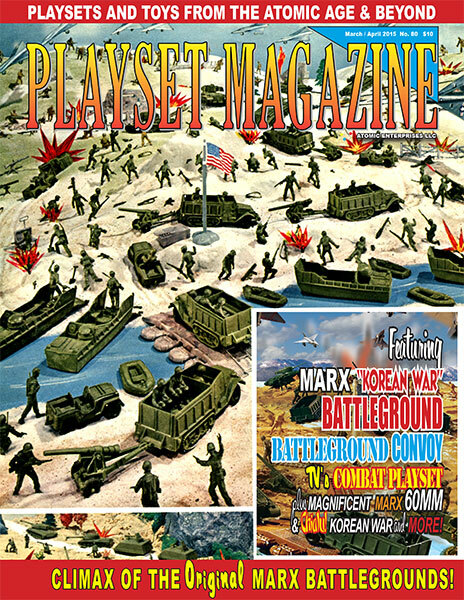 Plus all the usual mix of great features including Diodrama, Out There!, PM Puzzler, classifieds, and other exciting bits of news from the world of plastic toy soldiers.